Looking for some extra colorful flowers for your yard?? 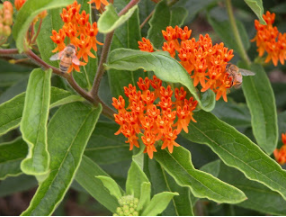 Try planting the popular Butterfly Weed. Now is the time for planting, and this hardy flower will bloom next summer and bring beautiful orange glorious foliage!! Asking only sun and plenty of it, Butterfly Weed laughs at heat and drought, survives winter unscathed, and is long-lived.